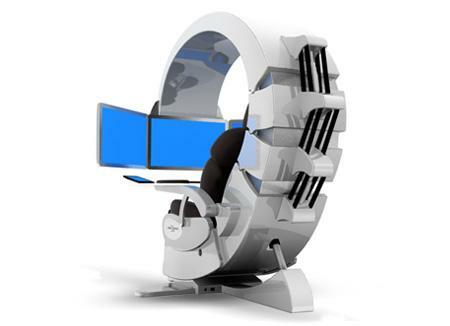 If you have a cool $44,750 burning a hole in your pocket, let us point you to the Emperor 200, the ultimate custom-made gaming or workstation dream chair, created by Canadian company Modern Work Environment Lab. A three-monitor display bends over the user to comfortably fall into the line of sight. But for the price of a car, the impressive, albeit not necessarily useful, set of features doesn’t end there. In addition to the three 24-inch LED touchscreens, the scorpion-like setup includes an air filtration system that promises to keep your lungs free from the pathogens that would otherwise occupy the stale air. (Or, for you smokers out there, the smog won’t linger and obscure your vision.) 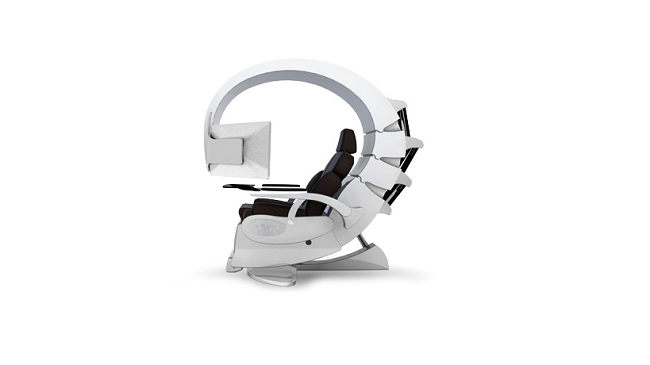 To top off the ridiculously high-end features list, the Emperor 200 includes a light therapy system, which allows gamers to get their full dose of rejuvenating Vitamin D, without every having to go outdoors. Since you’re paying the price of a basic BMW 5-Series, it’s not surprising that some of the Emperor 200’s features resemble those that you’ll find in a car, like motorized seat adjustments, and a THX surround sound system. If you’re looking for a cheaper alternative, you can always settle on the Emperor 1510 for a fraction of its counterpart’s cost. At $6,200, think of the Emperor 1510 as a stripped down version of the 200. 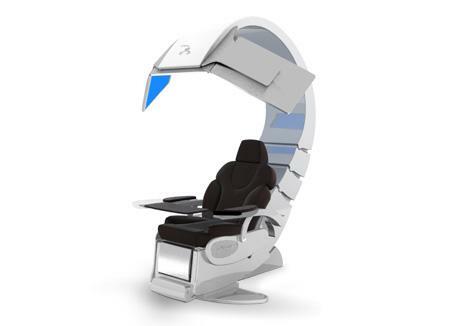 There’s no air filtration or light therapy, but instead offers LED lighting and BOSE speakers. Obviously, the Emperor 200 is a bit of overkill for the average gamer, not to mention completely out of reach. And while the built-in health features are certainly novel, we’re a bit skeptical that air filtration systems and light therapy technology can every replace simply stepping outside for a breath of fresh air. But that doesn’t mean we don’t still want one!